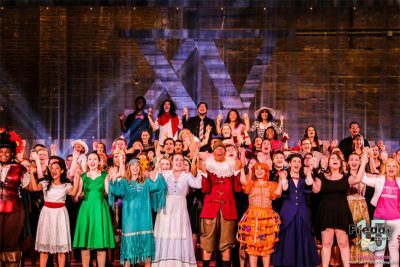 Thank you for helping us shine the spotlight on local high school musicals! 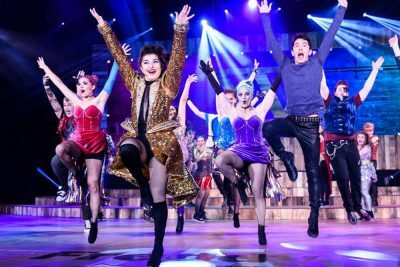 High schools all over our region are presenting their spring musicals, and the excitement is building for thousands of participating students because they know they will soon be part of the 16th Annual FREDDY© Awards! 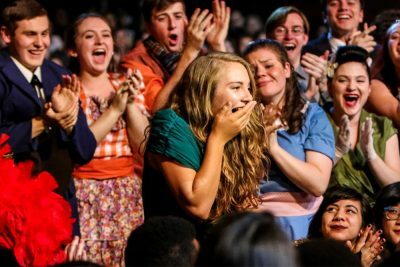 On May 24, 2018, the State Theatre will recognize and reward excellence in both the performance and production of local high school musicals. This year 30 high schools are part of the program. We are so proud of these incredible students! Since its inception in 2003, over 46,000 students have participated in the amazing FREDDY© program, creating lifelong friendships and timeless memories, gaining life and career skills, and having the thrilling opportunity to perform on the State Theatre’s magical stage. 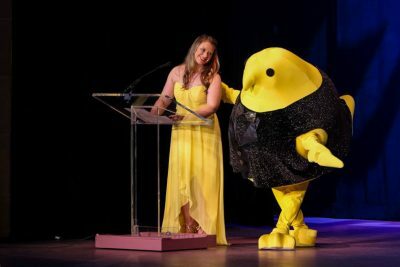 In that time, over $1,000,000 in college scholarships, paid internships and community awards have been awarded to participating students and their schools. Because of the FREDDY© program, awareness of the importance of the arts in schools has been raised significantly, and the benefits to the students have been clear. The program has been referred to as the “Superbowl of the performing arts,” and it is truly life-changing for kids in our region. With this in mind … We are asking for your help in bringing this one of a kind program to our community. The State Theatre is a non-profit organization, and as you can imagine, the cost of producing a program of this magnitude is staggering. 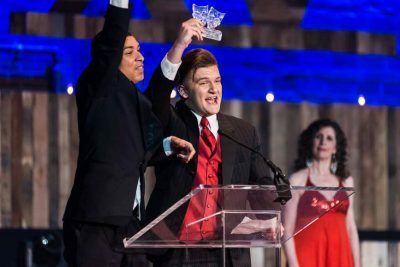 The State Theatre does not profit from producing the FREDDY© Awards, and we need the help of everyone in our community to make it happen each year. YOU can make a meaningful difference with a donation to the FREDDY© program! Your tax deductible contribution of any size to the State Theatre FREDDY© Awards will go directly to support the program and the students it serves. We hope you will enjoy great satisfaction in knowing that you are helping to sustain the viability of this wonderful program that benefits so many students in our region. In addition to the “main” FREDDY© night, we started a new tradition in 2012 … FREDDY© Preview Night. 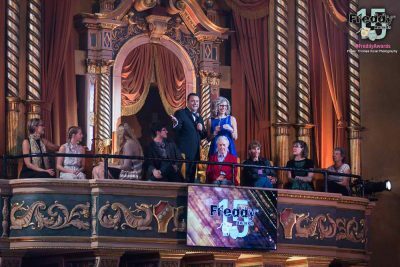 Each year, the night before the main FREDDY© broadcast, May 23, 2018, the State Theatre is bursting with the energy of hundreds of students during dress rehearsal. Friends of the FREDDY© Awards from all over the area are invited in to enjoy the “behind the scenes” action. There is nothing like it!